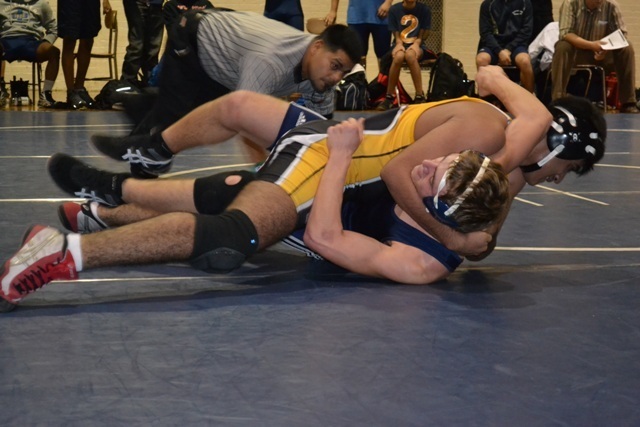 On Thursday December 22nd the Madison wrestling team hosted their first home dual meet of the season taking on divisional opponent, Lincoln High School. Konstantin Parfiryev led the way securing the night’s first win with a dramatic sudden victory takedown. The Knights then took the next ten matches and finished the Railsplitters with a final score of 73-11.